Hi everyone, long time member, but this is my first post. I’ve owned an 07 focus for a little over 5 years now and I’ve just recently upgraded to a 15 plate facelift (mk3.5?). So recently in fact I haven’t yet picked it up, hopefully I’ll get it next week, but it’s got to go to ford to have a recall sorted out first on the camshaft. So the new one is a 1.5 tdci, Titanium in magnetic grey, lovely car, got loads of toys on it with the sync 2 system. One of the first things I need to do is fit a towbar and I’ve a funny feeling that scotch locks and electrical tape aren’t going to work this time. Can anyone tell me if this is a job which I can do myself (I am a mechanic by trade 10 years and counting) and really what is involved. I’m not sure what the with trailer prep and without trailer prep that I’ve read about is. I can order parts from ford though work which might save me a few pennies over taking it straight to the dealership and I can fit the towbar myself, but it’s the electrical side that’s worrying me. I’m going to need a 13pin socket (or dual electrics if that’s even possible) as I’m towing a small caravan. Electrics for your car can be either fords kit or aftermarket kit is available . Both will need programming to the body control control module via central car configuration. Cheapest way to program it is using elm 327 adapter ( £16 ish) and free forscan software. 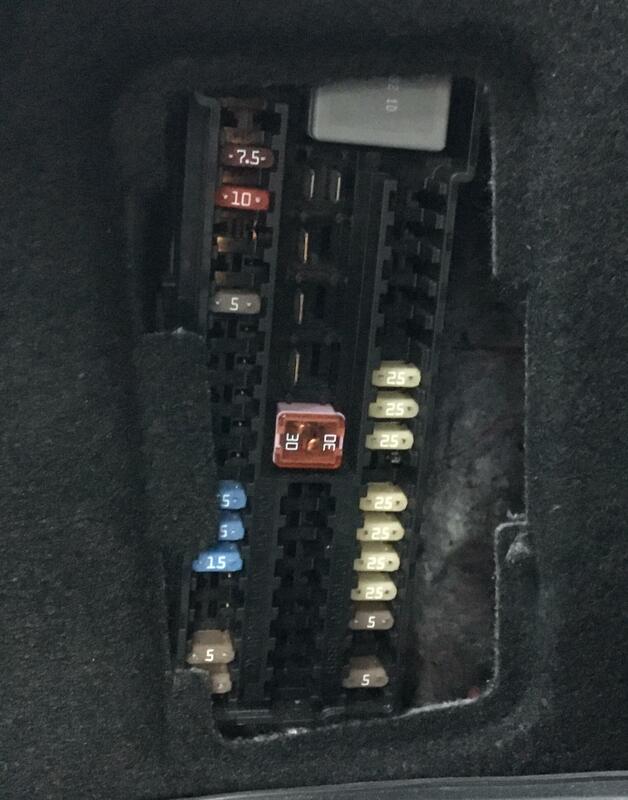 Both the ford and aftermarket kits will give full instructions to connecting kit to vehicle wiring harness. Thanks Ian, I’ll have to give ford a ring and see what they want for the kit. I’ve got an elm327 cable that I used with elmconfig to program a few bits on my mk2, so I can just download the Forscan program. I wouldn't say bypass relay is such a good idea. The ford electric kit is quite expensive , but pf Jones do an aftermarket kit with or without trailer prep at a reasonable price. Basically the kit just wires into the canbus with a trailer module then outputting to the socket. 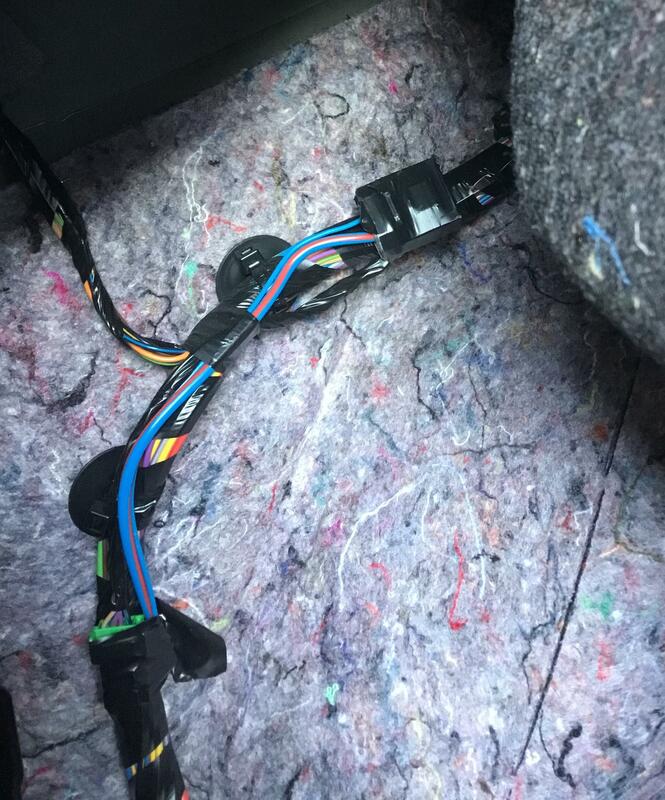 With trailer prep means the plugs are already in the boot area to plug module in , "without" means an extension wiring kit is required to run can bus from up front by glove box to the rear. It's not as difficult as it sounds. I’ve just had a poke around in the boot area behind the carpet and I’ve found what I believe to be the plugs for the towing module. Grey taped up at the top with a thick blue with red stripe and a thinner blue. Then the green plug taped lower down with four wires. Look like they should fit in one of these (picture by iantt from another thread). Then I take it a 40 amp cartridge fuse would be fitted in the position just below the relay where you can see two spade terminals. Once that’s done and I’ve used Forscan to do the programming, will I then (in theory) have a complete 13 pin setup ready and working? Also I spoke to our ford suppliers and they were quoting £194 + vat for a fixed towbar, we would get a 10% trade discount. That didn’t sound too bad, I presume that is a swan neck style rather than a flange type. But I was told that no wiring was listed for the fixed towbar, only for the detachable. Which is surely wrong, would it not just be the same wiring kit for both fixed and detachable? Should be pretty much the same, it's where the socket/bracket is positioned I'm guessing. 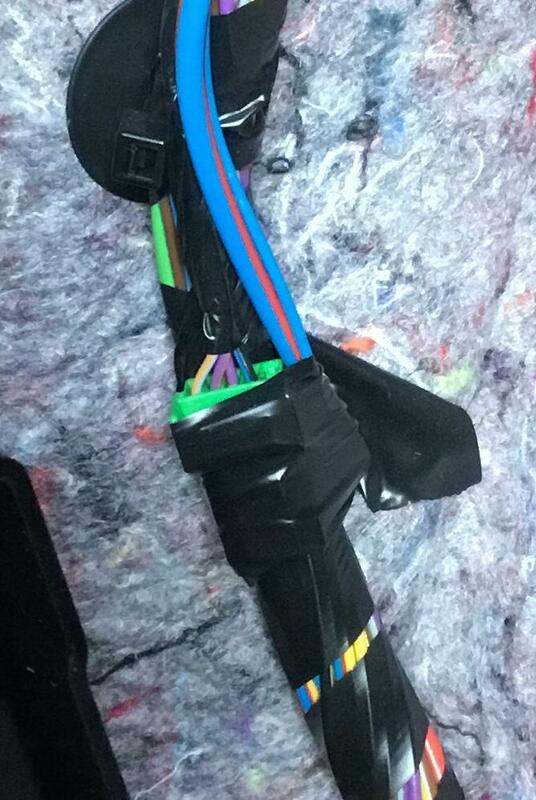 Good to see you found the connectors, does the green connector have all wires fitted? Earlier vehicles didn't and you had to insert an extra wire from the kit in . Ford can supply a wiring kit for the fixed tow bar. See the link and have a look . I haven’t pulled the connector away from the loom yet, but there are four wires going to it, so I think it’s good to go. I’ll have another word with Ford, the chap I spoke to admitted he didn’t really know much about it. If the towbar looks like the one in that link you just sent, then I’d be happy with that. 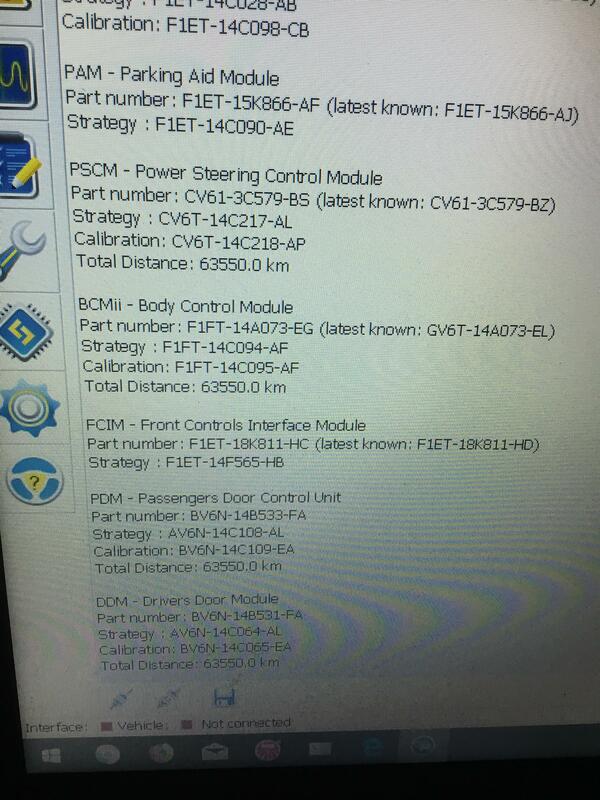 But then looking at the drop down “required fitting parts” there are two modules and two wiring kits listed one for 01/2016 onwards and one up to 12/2015 mine being the latter. I’m different to most caravan users, as mine is 30 years old and doesn’t have a battery of it’s own, I use the car battery to run the water pump and lights, it’s not ideal, but I’m a low power user with additional solar lights. I hope this modern system allows for this type of use with a permanent power supply. I'm not a caravan user so no idea. At least you know the parts and part numbers required for your vehicle and there availability for fixed bar. Yes, thank you for your help. I’ll update this thread when I’ve got everything fitted and hopefully working. Update time, I bought all the parts I needed off eBay, all genuine Ford parts. Fitted everything today and it seemed to go well, until... what you would think was the easy part, programming the module. I used FORScan, looked through the different areas and found in PAM were two options, I can’t remember the exact wording but they were both towbar related and both disabled. So I selected each one in turn clicked edit selected and changed them to enabled then clicked write. That seemed to go fine and all looked successful, I couldn’t check to see everything was working though as I don’t have an adapter to go from the 13 pin plug to the twin 7 pins on the caravan. 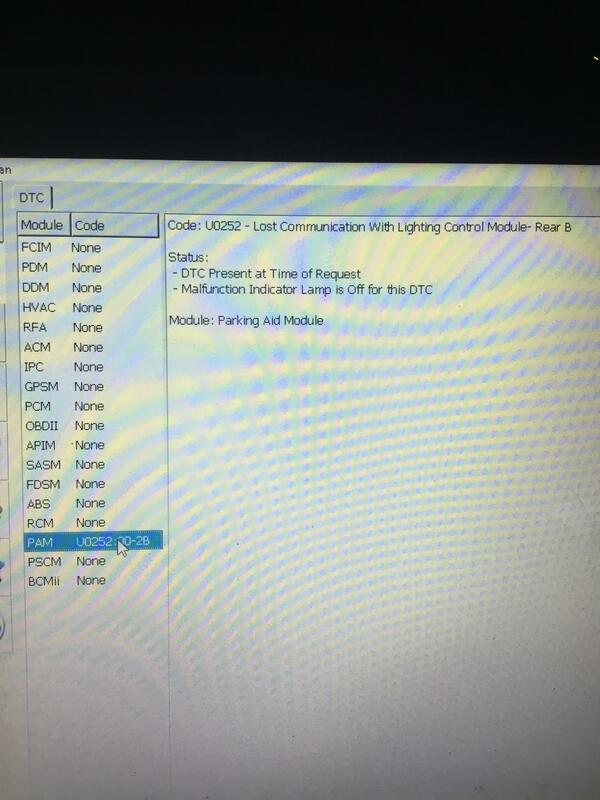 But with that done I found a code in the PAM module as can be seen below and when I selected reverse I’d get a message on the sync screen telling me there was a fault with the parking aid system and then the parking sensors just wouldn’t work. I went back and disabled the two settings in the PAM module and the codes cleared and everything works as it should. Is there anything else I need to do? I saw an option in service functions I think it was that said reset module but I didn’t fancy clicking it just in case I shouldn’t. 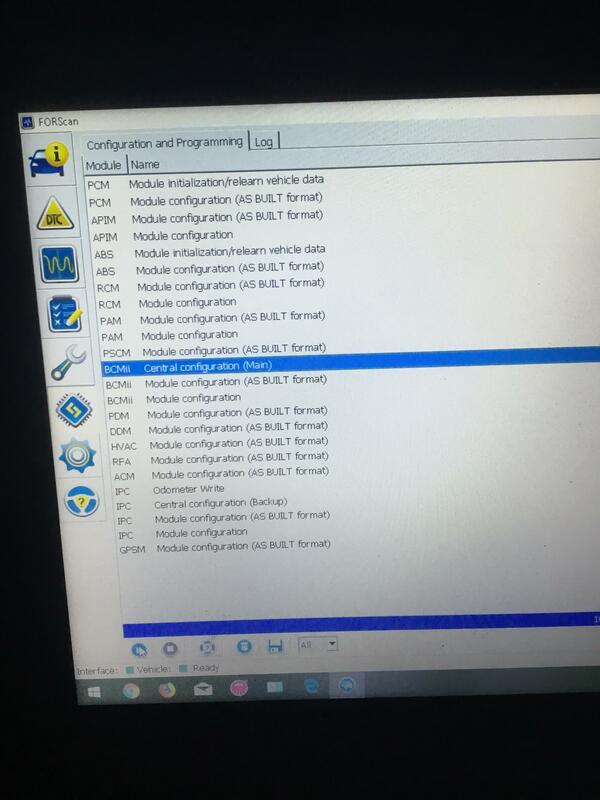 You need to configure the bcm module to switch the trailer module on. Have you got the extended licence? Here is what I have below. The PAM module looks like this inside at the moment, this is where I tried to enable it but it throws the fault when I do. And here’s the information it tells me about the BCM. @Tebba I’ve just downloaded that, which folder on the computer do I put that in? 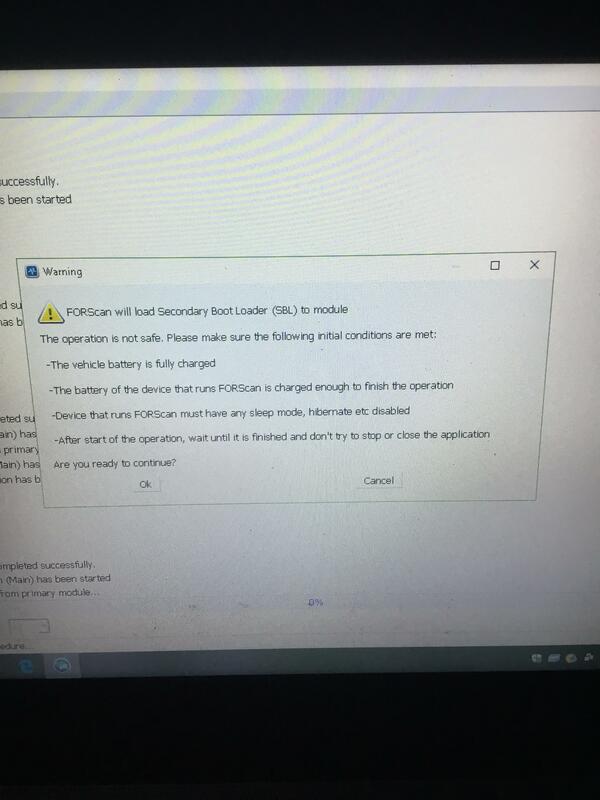 It did tell me where they should be before, but when I clicked yes to download from FORScan it came up the the warning in the post above. If I remember correctly it's lines 20 & 76 that have to be edited in the bcmii for a towbar. I’ve done that, put those files in the folder, then when I restarted FORScan, it told me there was a new version of FORScan available 2.3.20. I downloaded that too, so I was hoping everything would work better. When I click on BCMii main it still tells me it wants to download a secondary boot file and to make sure the vehicle battery is full and so is the laptop battery and that it won’t go to sleep, god knows how long it would take if I continued. 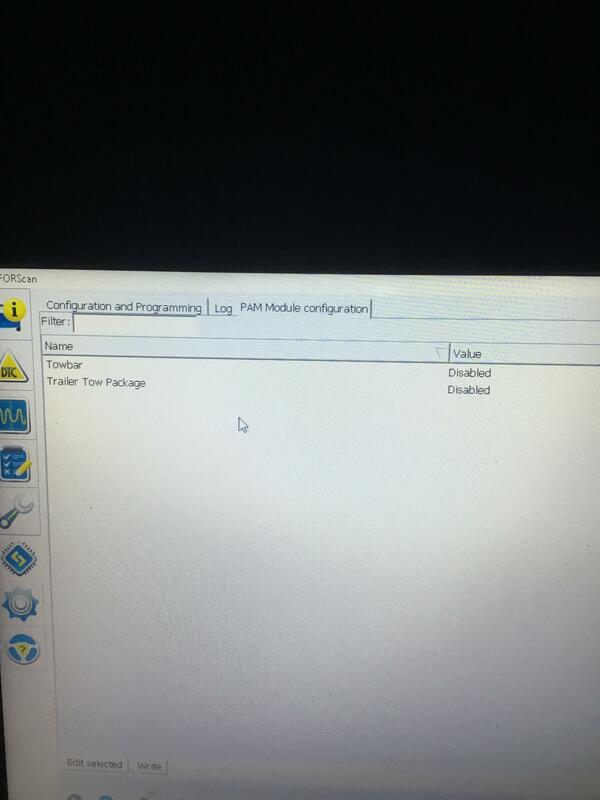 In this new version of FORScan it now includes “TRM trailer tow activation”. Which I clicked and it said it would activate all necessary modules so I did, but it says “TRM: error reading module configuration” and then “service procedure has been interrupted” and then doesn’t do anything else. Starting to make me wonder if the module I’ve got is faulty or if I’m going to end up giving ford a chunk of my cash. Yep, those sound right to me, and 19 if you want fogs to switch off?